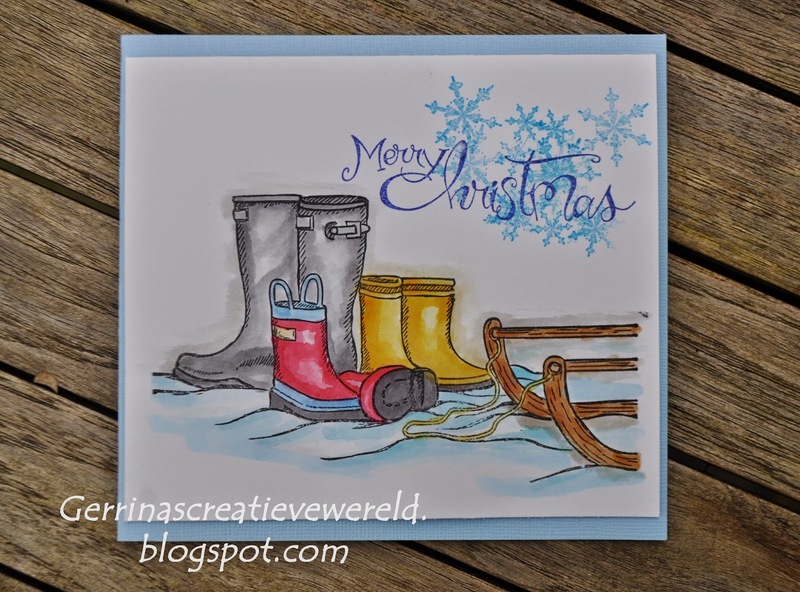 It's time for our December mid month post and today I would like to introduce Tracy, know to many of us as Tracy Mouse who is sharing some of her favourite stamps with us. Those who know her are well aware of her love of those little four legged creatures and it comes as no surprise to see two featuring in her favourites list below, so I will hand you over to her and she will explain a little bit more about her choices. "Hi everyone, what a difficult task I have to tell you about my favourite 5 stamps. Well what I can tell you is that I like cute, animals and vintage. I think that sums me up really. My favourites do change from time to time as I get new stamps or do something different with a stamp which then becomes a favourite, so I shall try to pick what I love right now. My first is a new stamp, it's a Penny Black called Holiday Hugs, I adore it as it's just so cute and the ideal Christmas image for any age. 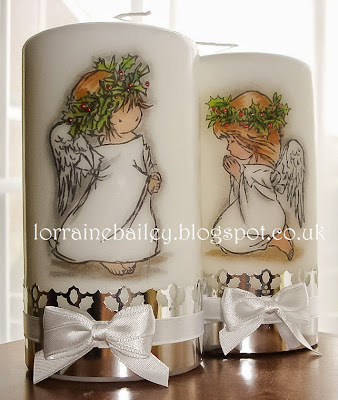 I have used it for cards and for a candle this year. My second has to be a Sarah Kay, there are so many to choose from but the thing about Sarah Kay for me is the detail and I love colouring anything with lots of detail. This was my very first Sarah Kay stamp and I always go back to it time and again. My third has to be my beloved House Mouse, but how do I pick favourites from them all ? But this one is just so sweet, I love it. My fourth is I'm afraid another House Mouse, it is just so adorable, bless him. Thank you for taking the time to share you lovely work with us Tracy, call me plain nosy but I always enjoy reading what other crafters like to make and they favourite styles. Our December Anything Goes theme is in full swing and runs through until 31st December so still plenty of time to join in for a chance to win the great prize on offer. Welcome to our December challenge. Before I tell you about this months theme, as it's the last challenge of the year it seems the appropriate time to say a few thank you's. We are blessed to have some wonderful sponsors offering great prizes as well as ever increasing numbers of both regular and new entrants, so from all of us here at Stamping Sensations a huge thank you to each and every one of you for playing your part in making the challenge a joy to be part of. On a personal note, I would like to take the opportunity to thank the fabulous Design Team, I am so fortunate to have an incredibly dedicated and creative team who never fail to amaze me with their unique and inspirational creations each month. What you create is down to you entirely, be it cards, altered art, gift boxes, the list is endless and don't forget you can enter up to three different pieces of artwork. We welcome back Chloe as our sponsor this month, many are familiar with her from the craft shows and Create and Craft and I think this months theme which lends itself to a bit of Winter sparkle fits in very nicely with Chloe's love of all things sparkly and glittery. 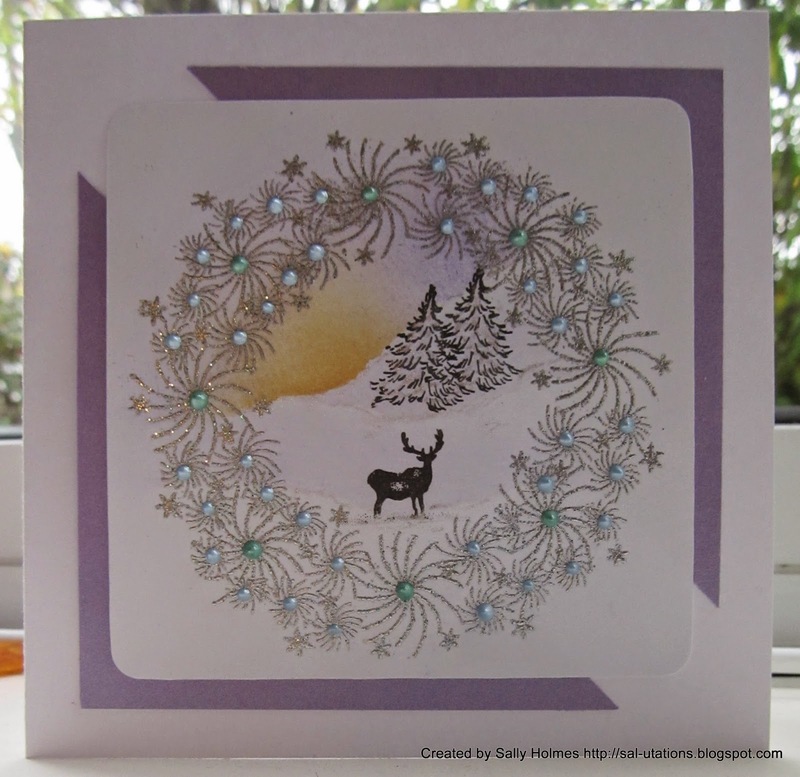 "I started cardmaking as a hobby which I thoroughly enjoy and find very relaxing and rewarding. 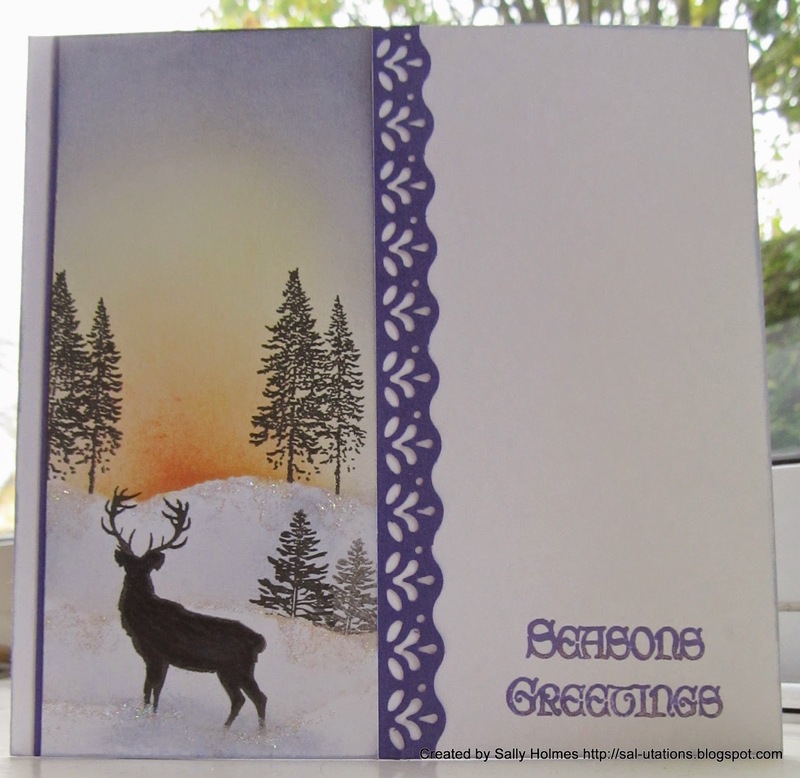 It wasn't long before I was being asked to create handmade cards by family and friends, which then snowballed to "friends of friends" and through their support and encouragement - Chloe's Creative Cards began and has continued to grow". Here is the lovely collection of goodies for our lucky winner. 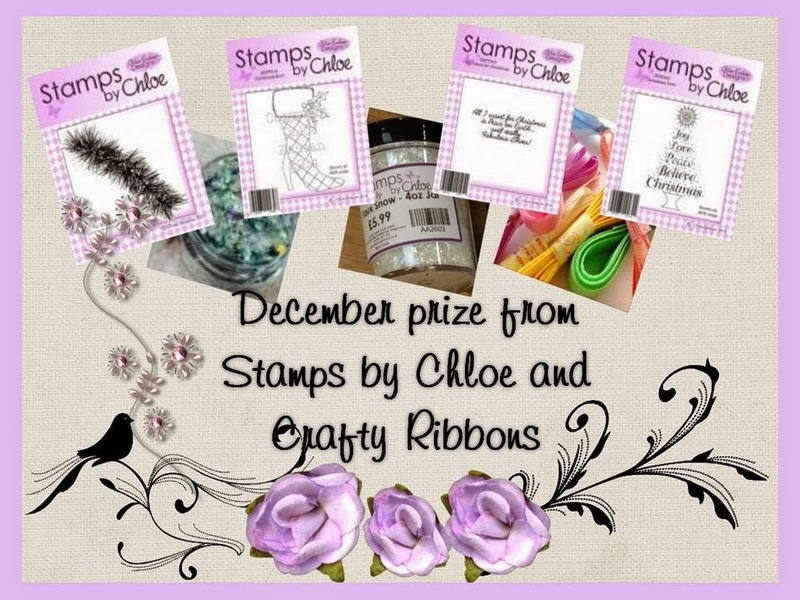 Here is the lovely collection of goodies from Chloe for our lucky winner with the bonus of a bundle of ribbons from Crafty Ribbons. 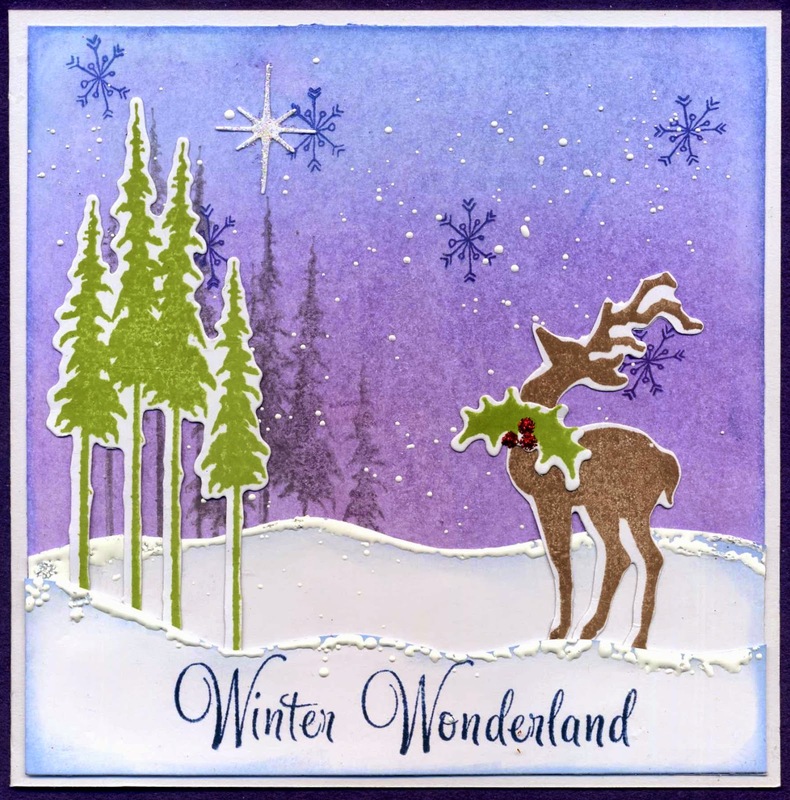 Using Stamps by Chloe "Snowflake Cluster" and "Christmas Mini Messages"
Good luck to you all, we look forward to seeing all your Winter Wonderland creations. Good morning all you crafty Peeps, it's time to announce our November winner and Top 3 and to thank you all for your fabulous entries last month, over 350 of them, wow what a month it turned out to be. So as you will realise we have had an incredibly difficult task selecting our favourites and winner, but I am always confident that our method of selecting those entries is a very fair one. It's easy to use a random generator, but in implementing our voting system where every DT, each of whom has their own individual style of crating selects their personal four favourites in order first down to fourth, it means every style of crafting has an equal chance of winning. Congratulations Lorraine, please mail me with your full name and postal addy so that I can get your prize arranged. And don't forgot to collect our winners badge to display on your own blog. Well done to you all, pleased go collect our Top 3 badge for your own blogs. I will be back Sunday with a new challenge and another fabulous prize.